Whether Mother Nature decides she is going along with the change of seasons or not, at some point we’ve ALL got to spring clean. I know I look forward to purging all of the unwanted/unneeded items in and around my home and storing away and organizing the rest of them this time of year. There is no better feeling than having your house all in order. Well, maybe winning the lottery would be better, but I digress…..
Nelson’s has all of the storage totes, shelves and racks you need to tidy up your belongings and claim back the space in your home. From large clear (so you can see what’s in them) storage totes to put away your winter comforter in (finally, yay!) to smaller totes for winter clothes (again, yay!) to the shelving units to store those totes all away on, we’ll keep you organized! We even have totes that fit nicely under your bed to make use of that wasted space. We also have a HUGE selection of cleaning supplies including Mrs. Myers clean day products made with plant derived cleaning ingredients. We carry a very broad selection of their products that are scented with essential oils, from basil to watermelon we’ve got you covered. 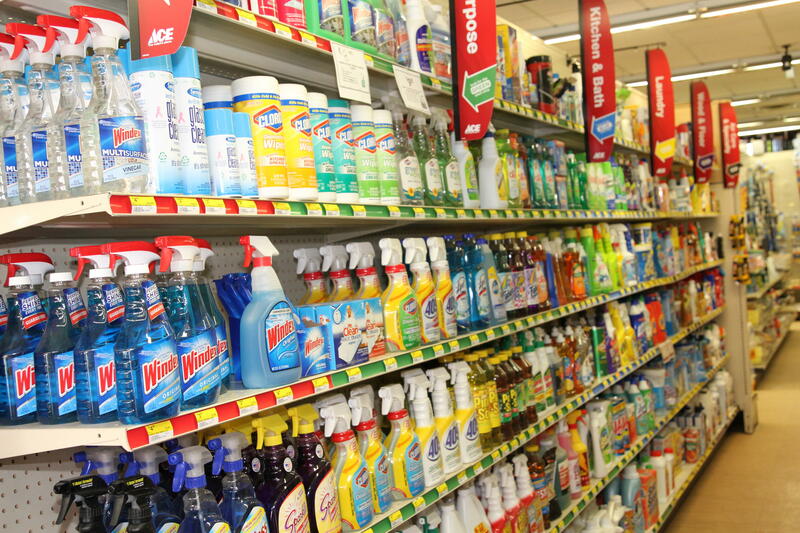 There are hard surface cleaners, dish and hand soaps, laundry detergent and even hand sanitizer. Along with these products we also carry a WIDE variety of furniture polish, glass cleaners, floor cleaners and strippers, metal polish, bathroom cleaners; you name it we’ve got it! Of course we always carry a wide variety of trash bags and garbage cans, scrub brushes and sponges, rubber gloves and buckets, mops and brooms, window squeegees and extension poles, dusting cloths and extendable dusters, paper towel and cleaning rags, siding and house wash, the list goes on and on. We are your one stop shop for Spring cleaning! Come on down and check it out!